The Anchorage Police Department is moving headquarters, taking over an embattled downtown building that has been vacant since it was abandoned by state lawmakers. The Anchorage Assembly gave its final stamp of approval for APD to take over an office building designed to house the state’s Legislative Information Office. 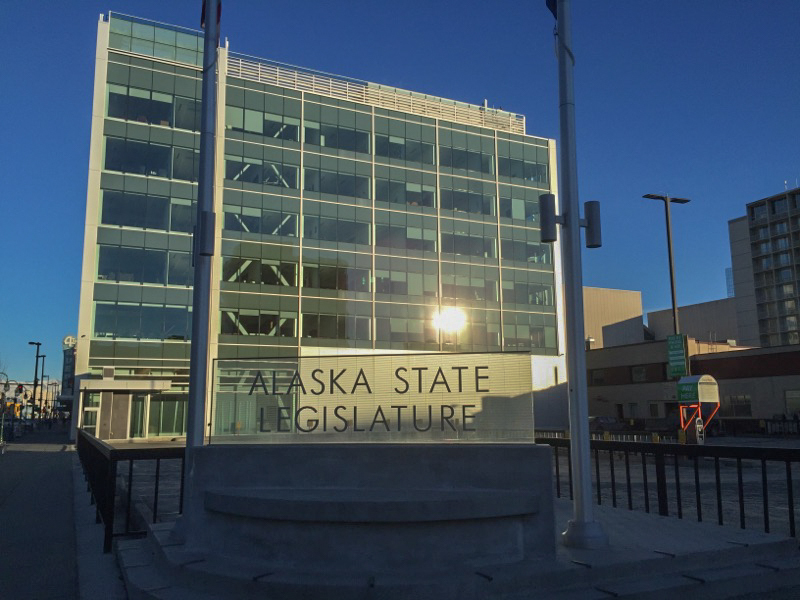 The Anchorage Community Development Authority, a quasi-municipal entity, bought the building this summer from an out-out-state bank for $14 million. Now, ACDA will be a landlord, collecting slightly more than $132,000 a month in rent from APD, a figure that is set to rise with inflation. During the Oct. 23 Assembly meeting, APD Chief Justin Doll told the Assembly that the department has outgrown its 1980s-era headquarters near the midtown U-Med district. “One of the more pressing needs that we have right now, that we’ve talked to the body about several times, is the need to store evidence,” Doll said, laying out the looming lack of space for proper storage capacity. The police department and the Berkowitz administration have said the move into the former LIO spares the municipality the tens of millions of dollars and years of planning that it would take to build a new facility outright. They have also frequently made the case that the building’s unique design complement the department’s needs and will require minimal modifications. But Assembly member Amy Demboski, the lone “no” vote on the measure, believes it’s an inessential expense at a time when crime in the city requires a more immediate allocation of resources. With the Assembly’s final approval, Doll anticipates command and administrative staff will begin moving into the new building within three weeks. He hopes to have more than 150 employees situated there by January.